What a decadent dessert this is. 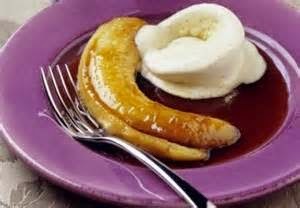 If you don't like cooked bananas then you could just have the toffee sauce with ice cream (home-made, of course). Or what about a chocolate brownie with the sauce if you are feeling really devilish! 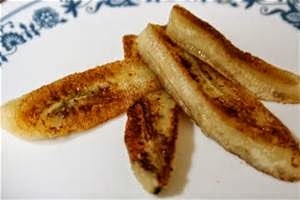 Melt the butter in a frying pan and fry the bananas for about 30 seconds on each side, until lightly golden. Take the bananas out of the pan and keep them warm. 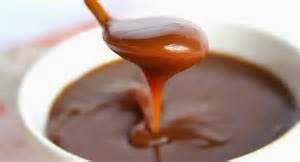 Stir the sugar and cream into the pan and heat gently to dissolve the sugar. Simmer gently for 2-3 minutes, until thickened, then add the lime juice. 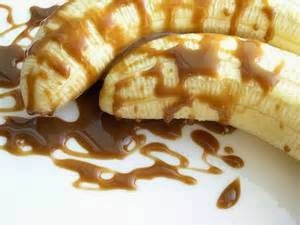 Pop the bananas on to the plates, drizzle with the toffee sauce and add a generous scoop of ice cream.